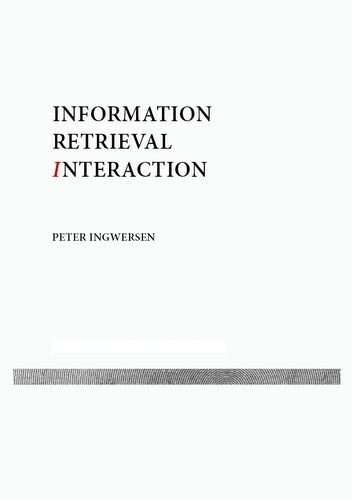 Information Retrieval Interaction is defined as the interactive communication processes that occur during the retrieval of information by involving all the major participants in information retrieval (IR), i.e. the user, the intermediary, and the IR system. The aims of the book are to establish a unifying scientific approach to IR – a synthesis based on the concept of IR interaction and the Cognitive Viewpoint; to present research and developments in the field of information retrieval based on a new categorisation; and to generate a consolidated framework of functional requirements for intermediary analysis and design – the Mediator Model. This book is about Information Retrieval, particularly Classical Information Retrieval. It looks at these topics through their mathematical roots. This book can be helpful for LIS students who are studying IR but have no knowledge of mathematics. The material of this book is aimed at advanced undergraduate information or computer science students, postgraduate library science students, and research workers in the field of IR. There is a new chapter on probabilistic retrieval.